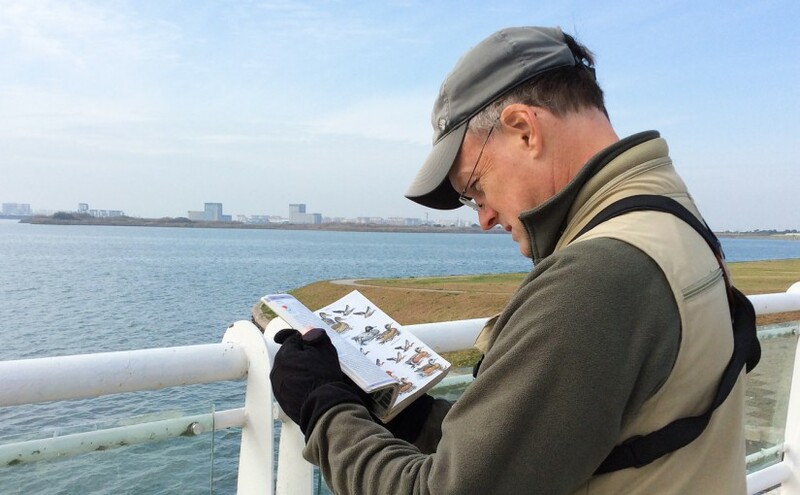 Every birder in the Shanghai region should have three field guides: Birds of East Asia by Mark Brazil, A Field Guide to the Birds of China by John MacKinnon and Karen Phillipps, and the Collins Bird Guide by Lars Svensson, Dan Zetterström, and Killian Mullarney. 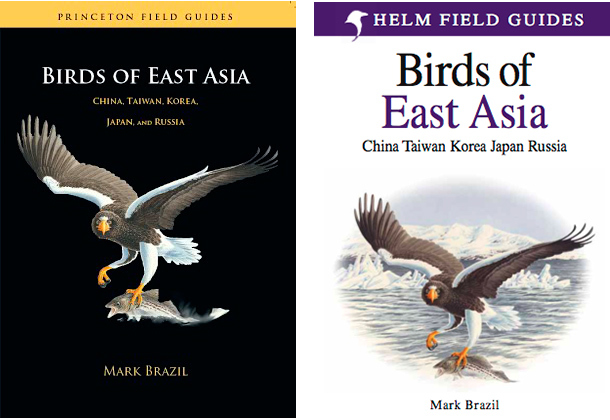 Covers of Mark Brazil’s Birds of East Asia: North American version (L) and Helm Field Guides version. Brazil, who has been living in Japan since the 1980s, conceived Birds of East Asia to cover Japan and Korea, but he was persuaded by his publisher to include northeast China plus the coastal provinces south to Fujian. Birds of East Asia also covers northeast Asia to the Bering Strait. Brazil has little experience in mainland China, and he treats some southeast Chinese species as an afterthought. 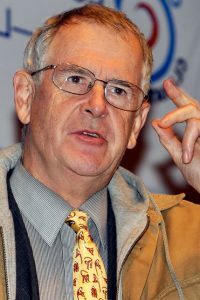 However, as the species he describes have a stronger connection to Japan, so does his writing about them grow stronger. The farther west one goes in China, the less applicable Brazil is, and the more necessary it becomes to supplement Brazil with MacKinnon’s classic book. A Field Guide to the Birds of China remains the only major guide covering all China and is a milestone in the history of birding. Published in 2000, it remains an indispensable introduction to the birds of China. The Collins Bird Guide is subtitled “The Most Complete Guide to the Birds of Britain and Europe.” It may seem strange to recommend a book whose core coverage area is 8,000 km from Shanghai and whose range maps do not include China. But the sheer quality of the book, coupled with the fact that China and Europe are on opposite ends of the same, east-west-oriented supercontinent, means that in Shanghai the Collins guide retains much of its potency. Dozens of the species of passerine covered in the guide occur around Shanghai, as do a very high proportion of the ducks, waders, and gulls. 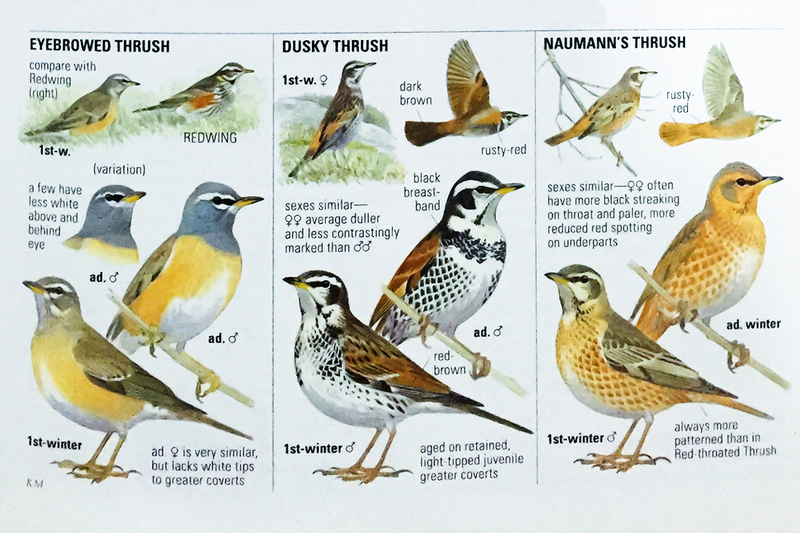 The page on Asian thrushes shows the greatness of the Collins guide. Captions point out key features, and the paintings are true-to-life. Do you need to separate Buff-bellied Pipit from Water Pipit and Red-throated Pipit? Turn first not to Brazil or MacKinnon, but the Collins guide. Taiga Flycatcher from Red-breasted Flycatcher? Use the guide. Greater Scaup from Tufted Duck, Richard’s Pipit from Blyth’s Pipit, and Common Reed Bunting from Pallas’s Reed Bunting? Again, Svensson’s text, supported by Dan Zetterström’s and Killian Mullarney’s incomparable paintings, does the job better than any China-oriented field guide. Birds of Southeast Asia (R) and Birds of the Indian Subcontinent are good for home reference in Shanghai and are worth taking on trips to southern and western China. A fourth field guide a Shanghai-based birder should consider buying is Craig Robson’s Birds of Southeast Asia. Robson’s work is an important home reference in the Shanghai area and a good supplement to Brazil in Fujian. It is my first reference in parts of China bordering Southeast Asia. Birds of the Indian Subcontinent is a good home reference and useful in western China.